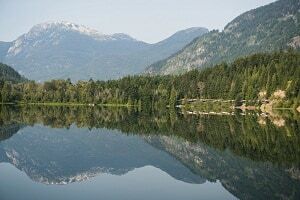 The Rainforest to Gold Rush Discovery Self-Drive includes a night in Vancouver before you embark on the Rocky Mountaineer to Whistler, site of the 2010 Winter Olympics. You’ll spend the night in Whistler Village before boarding the Rocky Mountaineer for your two day train journey to Jasper National Park. You’ll follows a rugged, northern route so you’ll be treated to spectacular scenery from start to finish. When you reach Jasper you will pickup your 5 day rental car. The next day you’ll have a full day to explore Jasper at your leisure. After your second night in Jasper, drive between Jasper and Lake Louise along the Icefields Parkway. This highway is considered one of the most scenic highways in North America and you are greeted with mountain peak after mountain peak. After your stay in Lake Louise, drive between Lake Louise and Banff and overnight in Banff. Finally, you drive between Banff and Calgary for your overnight there. The last day of your trip, bring the car rental to the Calgary Airport and fly home. This vacation begins with an overnight stay in Vancouver each Friday between April 26 and October 4, 2019. It begins with an overnight stay in Calgary each Thursday from April 25 and October 3, 2019. Ask for available promotions when you book. Call 1-800-913-9207 or 604-990-9299 or Email to get prices for your trip. Alcoholic and non-alcoholic beverages are included .